Edge Pledge now supports 50/50 splits, where schools and community groups can raise money for themselves and local cause. Take on a fun challenge to raise funds for your school and local wildlife on the edge. 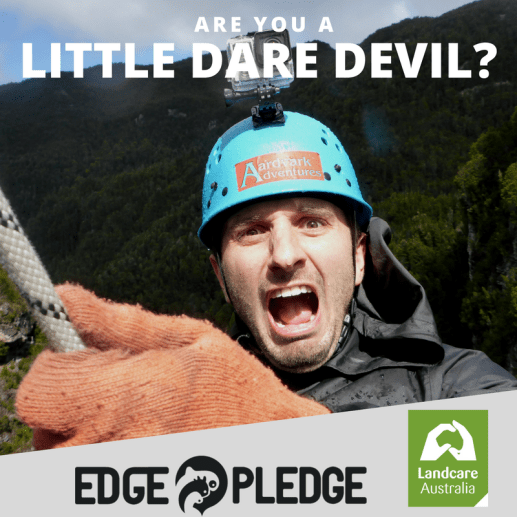 Landcare Australia and Edge Pledge have joined forces to launch Edge Pledge 50/50. 50% of funds go to your school or community group and the other 50% to local wildlife. It is the same Edge Pledge you love, we are just spreading the love so that people can benefit as well. Click play to hear more about 50/50 splits!